It might be less than two months removed since Scott Brison was appointed Canada’s first-ever Minister of Digital Government, but the public service veteran is already very familiar with what it will take to keep the country’s laws and politics at pace with the rapid state of change in technology and innovation. Brison began his political career in 1997 when he was elected as an MP in Nova Scotia. He has held a few roles since then, including being the Minister of Public Works and Government Services. Right now, along with being in charge of digital government, Brison also sits as the President of the Treasury Board of Canada. With over 21 years as a public servant, Brison knows exactly what works well in the government—and, of course, he knows what services need improvement. Having only recently stepped into his new role as the Minister of Digital Government, Brison has a lot of work ahead. His team is comprised of a few key members, including Aaron Snow, the CEO of Canadian Digital Services (CDS) whose job it is to help departments better enable digital technology, agile methods, and user-centered design; and Alex Benay, the chief information officer of Canada who helps promote and execute global shifts towards digital services. It can be difficult to find the right team to build beyond executives and leaders to help build out digital government though, and this is a noted problem Brison has already encountered in his short time at the helm of this transformation. The call for digital literacy will improve access to these kinds of barriers as well. It has been proven that the only way Canada (and the entire world) will be able to adequately prepare for the future is through comprehensive digital literacy programs, and while both federal and provincial governments are doing their part, digital government cannot thrive without a digital user base. Digital government can be both simple and difficult to define. On one hand, it is simply taking government services currently only offered in person or over the phone and streamlining them through a digital platform. This might include renewing passports online with a secure identification method or adding trackable barcodes to access to information requests regarding immigration status. The more difficult way to define digital government is where the adoption of cutting-edge technology cannot only streamline current services but eradicate legacy methods while simultaneously bringing in new and exciting services. For example, picture a full-fledged immigration app to replace the typical process, so wherever someone is in the world, they can apply, track and learn information about immigrating all through one platform. The digital mindset for a federal government also includes open data and open government. The federal government has been undertaking steps in the last few months towards a more open status, including making all kinds of software accessible to employees and using blockchain to tracking funded projects. Brison and his team also look towards other countries and the steps they are taking for digital government. Estonia is a key influence in this—the small Baltic country of 1.3 million people is one of the most digitally advanced in the world. Features of their current system include notifications to citizens when a government employee checks their file, and auto-enrollment in any government service a citizen may be eligible for. 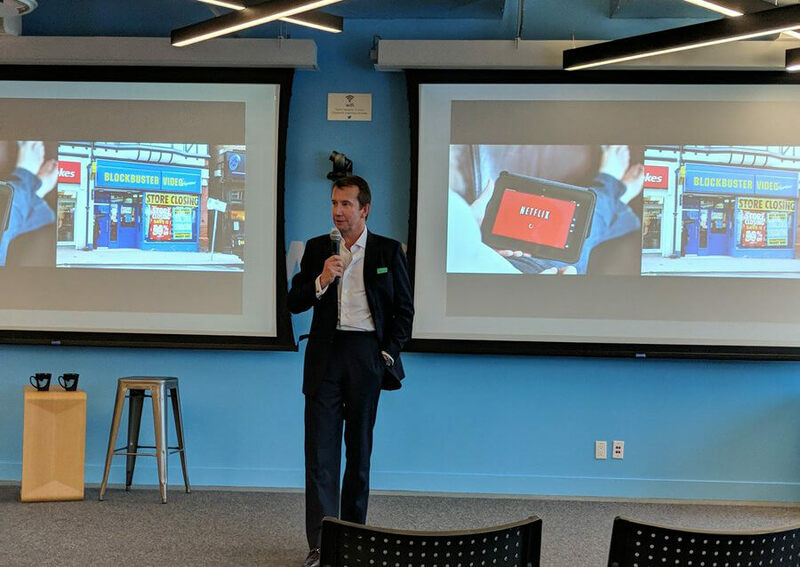 Techvibes had a chance to sit down with Brison to discuss government’s plan of action to bring itself into a digital age, and exactly what kinds of outside factors will play into an agile and widespread adoption. Is the need for comprehensive digital literacy across an entire population important before you begin a strong and decided push towards digitizing government? There are a couple of things. One is, I actually believe that digital services can make a bigger difference for the most vulnerable citizens. Of all the groups in society, the people who can stand to gain the most from a good digital government are our most vulnerable low-income citizens. That is contrary to the perception that a lot of people have about this. I look at the fact that almost 26 million Canadians have smartphones, and that if you take kids out of that it’s pretty much everyone. With free wifi almost everywhere in public spaces, that really means we have more opportunities and places that we can serve Canadians through digital than we have ever had in our history. I do think digital literacy is really important, and one of the things we’re doing as a federal gov is that we are investing in programs to teach kids coding. That is for them to not just be passive recipients of digital services but to actually in build careers in digital. Again, I think we have to push back at the notion that somehow digital doesn’t move the needle in terms of the lives of low income and vulnerable citizens. In terms of finding the right projects to focus on for digital government, what is the workflow? Part of it comes from our government digital services branch, CDS, under the leadership of Aaron Snow. They partner with departments and agencies who understand the imperative of good digital delivery. There is a question of skillset, but mindset is important too. You need to have people within departments who need to understand the importance of digital and the importance of collaboration and partnership. That determines it sometimes. Brison delivering a discussion on adopting tech. We’re doing a lot of work with IRCC, we’re doing a lot of work with veterans affairs Canada, and we’re going to be doing more with ESDC because they are very much a service-based organization. We’re also inventorizing the services delivered by the government of Canada to citizens, with an understanding of which services that modern digital have the biggest positive impact on the lives of Canadians. I think it’s really important to show results that people notice and that help to affirm that government can and must do digital well. The government has invested a lot of money into innovation in tech companies or otherwise. How will you take advantage of these third-party Canadian experts and industries to help grow government digital within the country? For example, Startup companies need three things. They need capital, talent and customers. In the past, government—by providing investments—helped provide capital, but didn’t really do a good job in being a customer. The way government in the past has procured digital and IT solutions was generally the old waterfall approach, which was anything but agile and anything but accessible to smaller vendors. I actually see agile procurement as not being just good for the citizen in terms of the quality of services they receive and to the taxpayers in terms of the value of tax dollars, but also to the broader digital startup ecosystem to actually provide startups with an opportunity to participate in government procurement. There are enough innovators outside of government who can take some of the data we provide them and develop solutions. That kind of open innovation, when you are sharing both your data and your objectives, is really significant. I think we want to do more of that. What are some milestones you are hoping to hit in the next few months or years that will signify you are on the right path to digitizing government? We are working on those indicators and milestones right now as part of that broader digital plan. We want to be able to show very clearly the progress we’ve made and to demonstrate to Canadians that the government can do digital well both in terms of the quality of services we deliver to Canadians, but also in terms of our relationship with citizens. 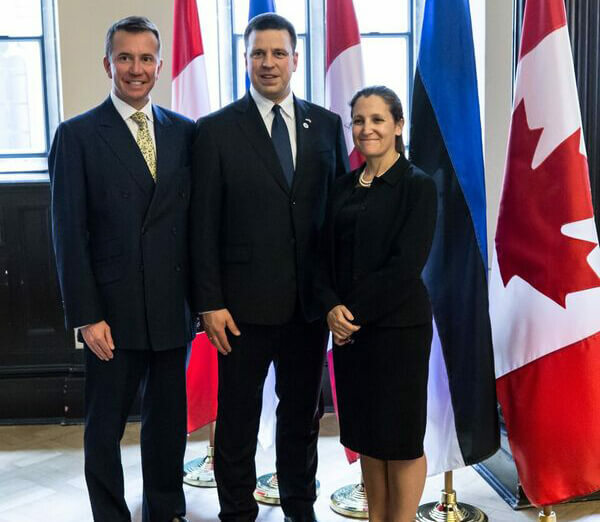 As much as I use the example of Estonia in terms of a gold standard, Canadians don’t compare the quality of the service they get from their governments to those received by citizens in Estonia. What Canadians do is compare the quality of services they receive from their government with companies like Netflix or Amazon. Then Canadians don’t understand why they can’t get the same quality of service from government when they renew a passport compared to when they order something from Amazon. In some ways, the competition that has raised the bar in terms of citizen expectation for digital services is the private sector. We can’t have citizens feeling that Netflix understand their needs better than the government. At some point, getting digital right can really help restore people’s faith in government in terms of our ability to understand them and fulfill their needs. It can also restore a sense of relevance that government has to people, that it’s important to me and helps improve my life. 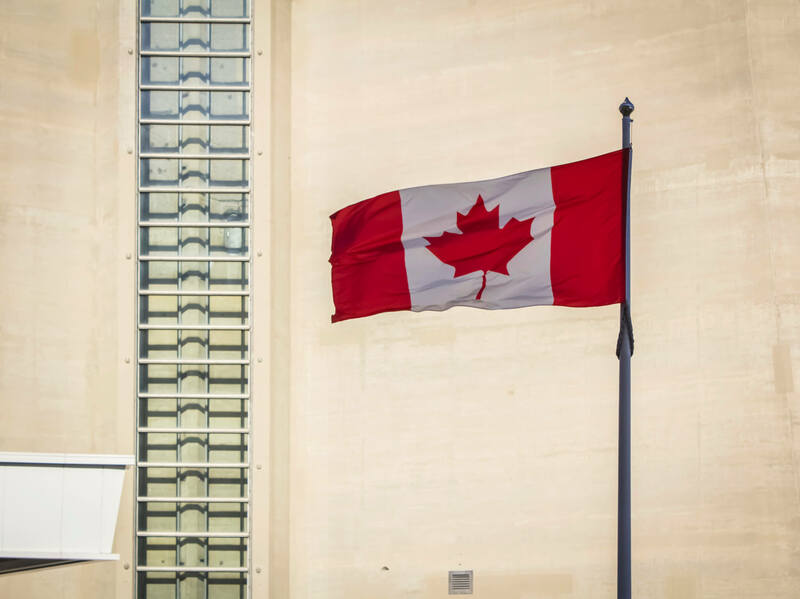 The process of bringing the Canadian government into a digital state will be an eternally-ongoing project that can takes years, if not decades. 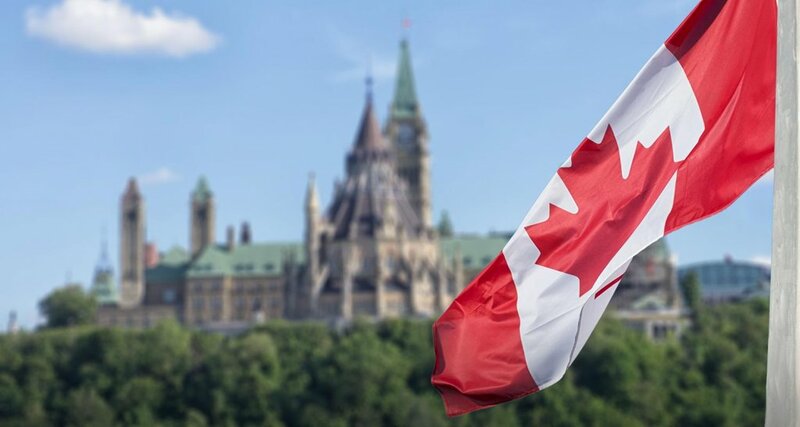 The government has seen setbacks with the likes of the Phoenix payroll system, but the current digital team is looking to move past them and find new ways to implement digital protocols into current government systems. Phoenix was a system developed by IBM to process payments for federal employees. It suffered multiple problems leading to hundreds of millions of dollars worth of lost funding. With that kind of misfire behind them, digital transformation will be a hotbed for discussion in the future. The team has already looked into using services like Amazon’s Alexa to deliver services, and there are dozens of other areas that they could immediately address. The key areas to focus on will all be driven by citizens themselves.